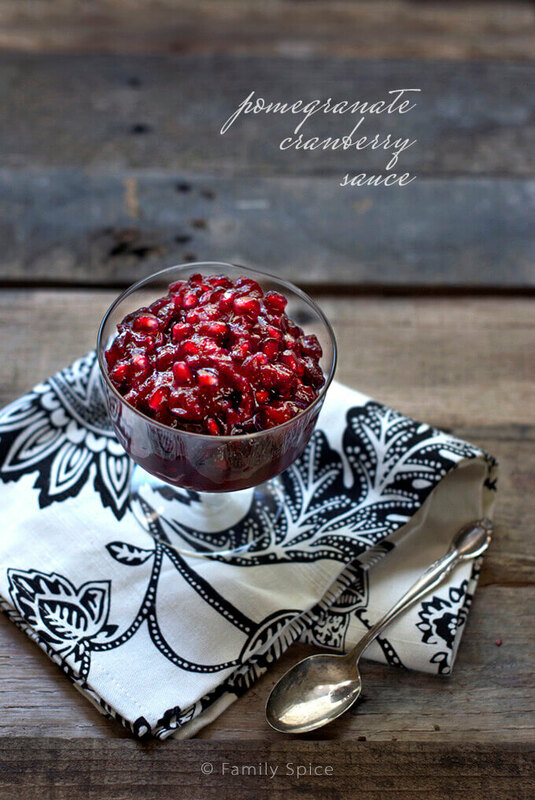 Enjoy all of the fall flavors this Thanksgiving with this easy and delicious pomegranate cranberry sauce. Every year for Thanksgiving I like to mix a bit of family favorite recipes with new ones. One of my favorite dishes on the Thanksgiving spread is the cranberry sauce. I never go with the crappy canned stuff, and I never just dollop a spoonful on my plate. No, cranberry sauce always gets significant real estate on my plate, and I like to serve it as a condiment for other meals too. It works beautifully with roast pork, chicken or fish. So don’t knock my favorite relish. So this year I decided to give my beloved cranberry sauce an upgrade, by adding pomegranate to the mix. Pomegranate, as you know, is one fruit that my family goes ga-ga over. Every year we get as many pomegranates that we can get our hands on and shuck away. The kids eat the pomegranate arils faster than we can usually shuck them. 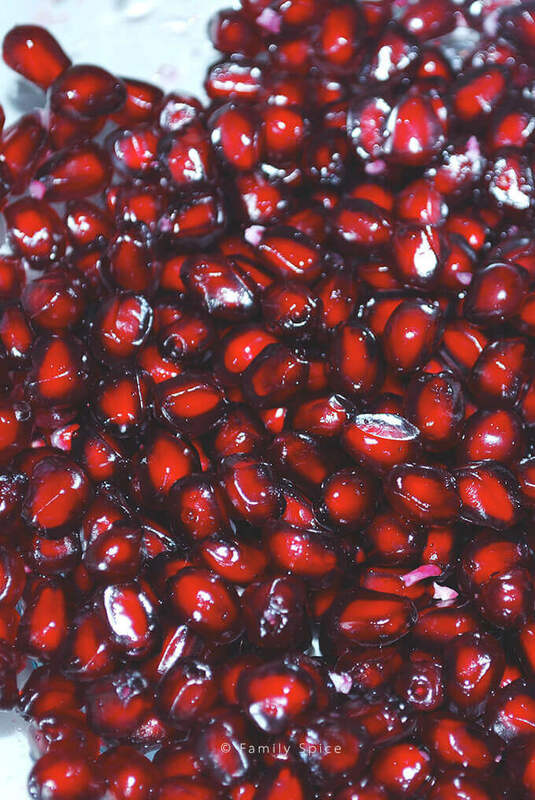 All that hard work is worth it when we see those happy faces stuffed with pomegranate! Don’t worry, I can show you how to easily seed a pomegranate yourself. Click here for instructions. You can also watch the video in this post. Don’t pay crazy money for already shucked pomegranates when you can do it yourself! Pomegranates are rich in antioxidants, fiber, folate, potassium and Vitamin C & K. It’s no wonder that this fruit has been loved for centuries. This pomegranate cranberry sauce is made with both pomegranate juice and the arils. I keep the sugar at a minimum, so if you prefer a sweeter sauce, you can always add more sugar. 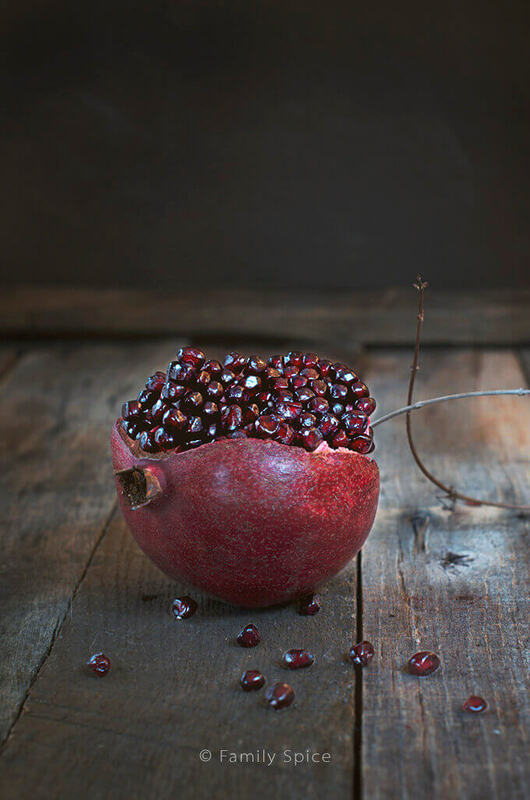 The addition of pomegranate really does add something extra special to your Thanksgiving table. 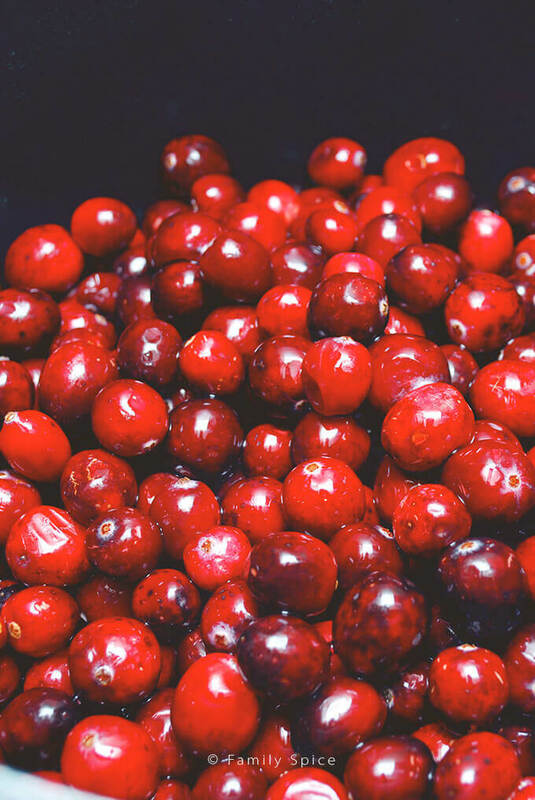 Cooking Tips: Cranberries are highly acidic, which discourages bacteria growth. Cranberry sauce can be made and refrigerated at least two weeks before serving, and leftovers are likely to stay fresh for another two weeks. If using frozen cranberries, do not defrost before use. Just allow extra cooking time. I love them too. A friend of mine often serves them with bubbly wine for special occasions. And the seem like a great fruit to blend in with cranberries.